The top three designers of NASA’s Space Poop Challenge won a total $30,000 in prizes, and now the agency may use the designs in a newly revised Orion mission that will include a crew. Last year, NASA launched the challenge on the HeroX crowdsourcing site, looking for "solutions to human waste management inside a spacesuit.” The competition called for a design that would replace the current in-suit waste-management system, a diaper. NASA was seeking a design that could collect all forms of human waste for up to 144 hours, or six days, without the astronaut needing to use their hands. Nearly 20,000 people submitted over 5,000 ideas to the challenge, and NASA announced Wednesday the five people who were rewarded for their designs. With the winners announced, NASA will start working on a design for their future missions. On Wednesday, Robert Lightfoot, NASA's acting administrator, sent a memo to employees, confirming rumors that the Orion missions may be moving ahead of schedule. Originally scheduled to launch an unmanned Orion craft around the moon and back by 2018 or 2019, with a manned mission scheduled for around 2021, NASA now wants to skip the unmanned flight for an initial manned launch in 2019. "I have asked Bill Gerstenmaier to initiate a study to assess the feasibility of adding a crew to Exploration Mission-1, the first integrated flight of SLS and Orion," Lightfoot wrote. "I also want to hear about the opportunities it could present to accelerate the effort of the first crewed flight and what it would take to accomplish that first step of pushing humans farther into space." A 2019 launch would coincide with the 50th anniversary of the Apollo landings, and be the first time astronauts have gone beyond low orbit since 1972. 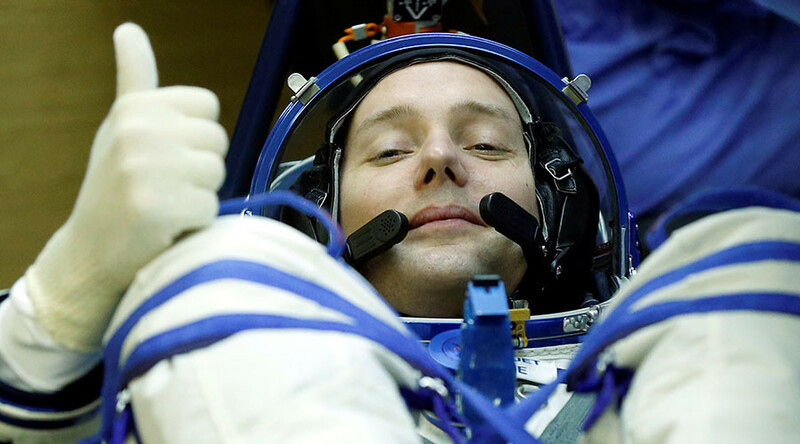 The top Space Poop Challenge prize went to US Air Force Colonel Thatcher Cardon, a family physician and flight surgeon, who took home $15,000 for his design. "I mean, they can even replace heart valves now through catheters in an artery. So it should be able to handle a little bit of poop!" Cardon said. His design also has a variety of other items, including inflatable bedpans and diapers, which could be passed through the small opening at the crotch of the suit. Second place went to three people who designed an air-powered system that pushes waste away from the body, and stores it in another part of the suit. 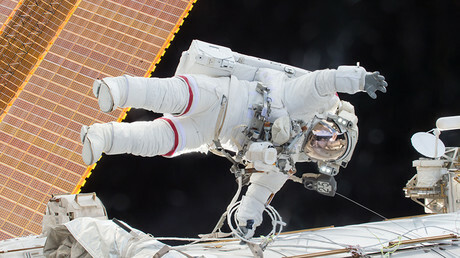 “More specifically, that air is created by passive and active normal body movements of the astronaut,” Jose Gonzales, one of the designers, told NPR. His team was awarded $10,000 for their design. Third place went to a design that had very few electronic parts, called the “SWIMSuit — Zero Gravity Underwear,” which Hugo Shelley, the creator, said, “features a new catheter design for extended use in microgravity, combined with a mechanism that compresses, seals and sanitizes solid waste.” He was awarded $5,000.